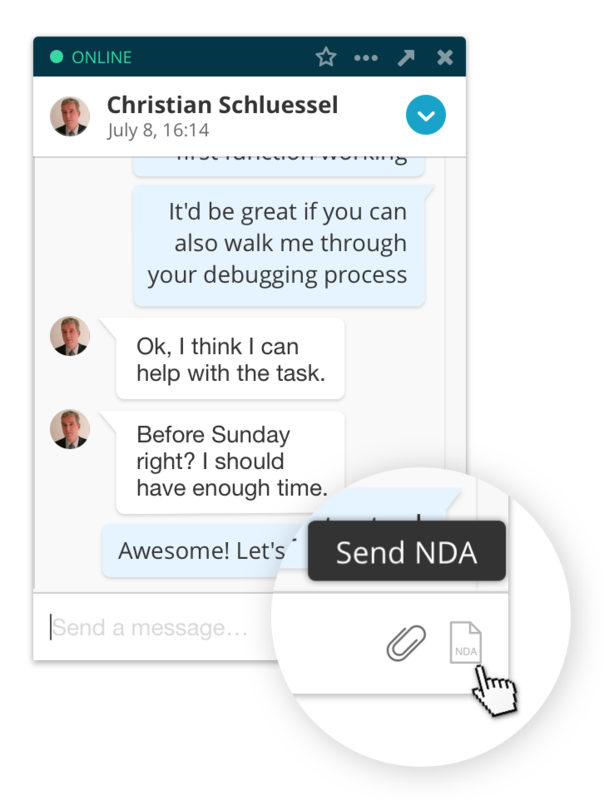 Codementor Support - Do you support NDAs? All Categories ​>​ I&apos;m a User ​>​ Getting Help ​>​ Start a Session with a Mentor ​>​ Do you support NDAs? Yes, we supply a non-disclosure agreement. Our system supports secure, legally-binding electronic signatures. If you'd like to protect the confidentiality of the information you disclose to a mentor or are concerned about the privacy and/or copyright of your project, be sure to send an NDA to the mentor beforehand. If you send out an NDA by accident, please email us at support@codementor.io and we'll remove it for you.